Charles Edward Wilson Professor of Business Administration at the Harvard Business School, John A. Quelch, has several years of industry and academic experience in leadership, corporate accountability and management. Professor Quelch holds a joint appointment at Harvard School of Public Health as Professor in Health Policy and Management and is also a fellow of the Harvard China Fund, a member of the Harvard China Advisory Board and is an associate in research at the Fairbank Center for Chinese Studies. 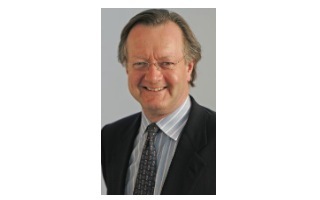 But in addition to his various esteemed roles, John Quelch is also a dedicated Co-Founder and member of the Board of Directors of the Boston Global Forum (BGF). In this interview, Professor Quelch speaks to BGF to describe the pressing need to address worker safety issues and his vision of how Boston Global Forum can do just that. BGF: You’ve traveled and lived in several parts of the world. What drew you to an idea of a forum in Boston? And how do you see a small group of people in Boston making a difference to such large global issues? Professor Quelch: Boston is a global intellectual hub with thousands of national and international thinkers and scholars in distinguished universities like Harvard and MIT, famous multidisciplinary hospitals and hundreds of public and private sector enterprises. Second, Boston has a large capacity for people, from diverse private and public sector disciplines and experiences, to dialogue on issues. We invariably find that the most important issues of the day, those that are also the most difficult to solve, bridge the public and private sectors and demand collaboration, partnership and dialogue to be resolved. Governor Dukakis suggested differentiating the Boston Global Forum by focusing on one issue each year. So, instead of being a mile wide and an inch deep, we attempt to focus on one particular issue of current and long-lasting significance and one that, given the benefit of heightened visibility through open discussion, could lead to improvement or resolution of the issue. We hope that these discussions will generate recommendations that can guide those associated with policy-making in the private and public sectors. There are not many researchers focused on this year’s issue- Minimal Standards for Worker Safety- compared to global warming, for example. Worker safety in emerging economies is not something that captures the headlines each day yet it’s very important to the lives of millions of people around the world. BGF: In prior meetings you have mentioned that the issue of worker safety has been on your mind for a while and that the Bangladesh collapse was “an unfortunate catalyst.” Why were you thinking about worker safety and what made you consider it a pressing issue? Professor Quelch: I used to be on the board of Reebok, the athletic footwear company, for 12 years before it was taken over by Adidas. During the 1990s, there was concern over conditions at plants in the Far East, where sub-contractors of Nike, Reebok and other footwear manufacturers made very expensive sneakers. A very small portion of the value captured actually went to the workers who made the sneakers. In fairness, the companies responded to the pressure and set up procedures for auditing the working conditions in the factories of the sub-contractors. However, improvements that are made in one industry or one product category don’t necessarily spill over to other product categories where fabrication may be easier or cheaper or more labor intensive, or where the countries involved are very poor. The efforts made by the footwear manufacturers did not apparently spill over to the manufacture of apparel. Beyond the top brands, there are many factories that making cheap apparel for price-sensitive consumers around the world and selling that apparel through private label channels or unbranded channels. There is more reputation risk to a strong brand name if a factory has poor worker safety conditions, but so much of the apparel that is sold is unbranded, compared to footwear. BGF: My next question is inspired by your latest book Greater Good, how marketing practices can make for better democracy. Based on media reports, the Bangladesh government appears to be too corrupt to make a significant difference to the garment industry even with international pressure. From your understanding, how can international pressure make a positive impact if the government is so corrupt? Professor Quelch: There are two ways to make a difference. First, consumers have considerable power if they wish to exert it. So one approach is to make consumers more aware of the products that they’re purchasing, where those products come from and the conditions of the workers who make those products. You might call this a ‘pull strategy’. You focus on informing and motivating the end consumer to pull and create a demand for quality and minimum worker safety conditions as a prerequisite for purchase. There are precedents for international labeling or international certification approaches that provide consumers with that information at the point of sale and can inform them as to whether or not that garment is a fair trade garment, where fair trade could be defined as worker safety compliance. The second avenue is a ‘push’ approach that involves Western governments. Many Western politicians take a serious interest in international worker safety. They can call out the Bangladesh government if it is not doing what is necessary and potentially persuade those firms who contract with Bangladesh sub-contractors to move their business elsewhere to Cambodia or Pakistan, or to other countries that might be willing to comply with and enforce higher worker safety standards in return for securing that business. BGF: How do you see Boston Global Forum developing and growing and what other issues do you see it addressing in the coming years? Professor Quelch: BGF will evolve step-by-step. A lot depends upon whether we are seen to make a difference on the issue of the year for 2013. Our goal is to add value by bringing people together in a forum where they have an opportunity to debate alternative approaches to addressing the issue. In the end we’re going to have to demonstrate that we have an impact beyond merely being a talking shop because that’s really not a sufficient point of differentiation. I personally hope that emanating from our discussions will be a greater involvement of US private businesses or the US government either unilaterally or through international organizations to bring to the emerging economies worker safety standards that are closer to those that American workers enjoy. The US has a responsibility as a leader in the free world, not just as a leader in military or foreign affairs problem-solving, but also as a leader in terms of the values that should guide responsible capitalism. We have the ability to help develop capacity for a fair capitalist model in emerging economies. At the moment, in many parts of the world, the capitalist model of the West is discredited and many point to China as offering a better model for young emerging economies. The US must regain the moral high ground in terms of setting good standards not only for Americans but also for workers around the world. Most American consumers would support this approach even if it cost them a few pennies more at the cash register. When you think about the quantity of apparel that is discarded in the US every week, it isn’t as though people are short of money to buy t-shirts. If it costs a few pennies more to bring a better quality of life to the people who make those products, I think a vast majority of Americans would be open to making that kind of an investment. BGF has to achieve some demonstrable positive impact on lives of the people that we are focused on. I’m sure that if we are seen to do a good job on this initial issue then there will be a stream of other issues that people will want to propose for similar discussion and follow through.